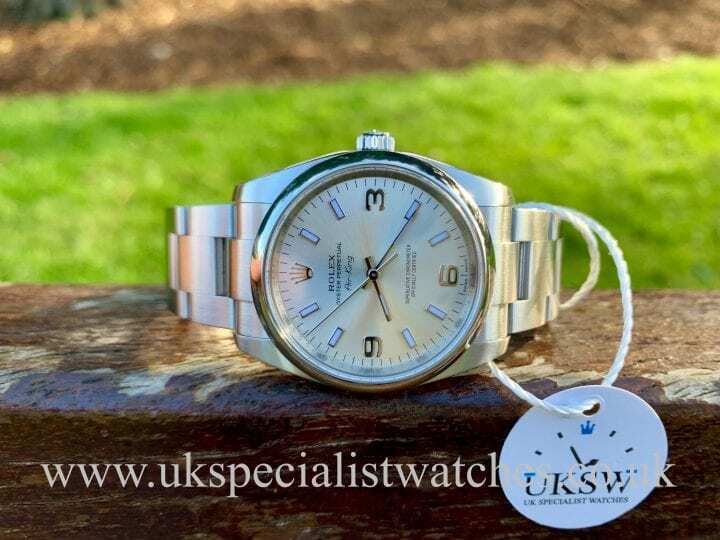 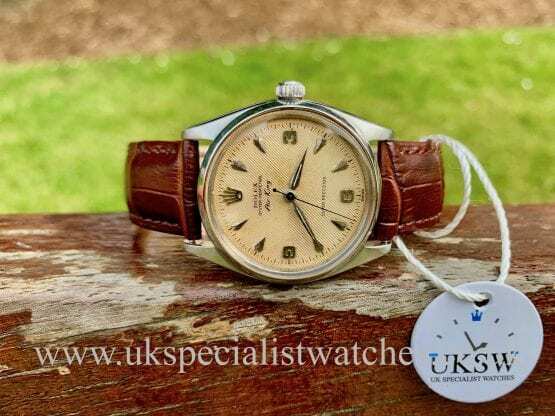 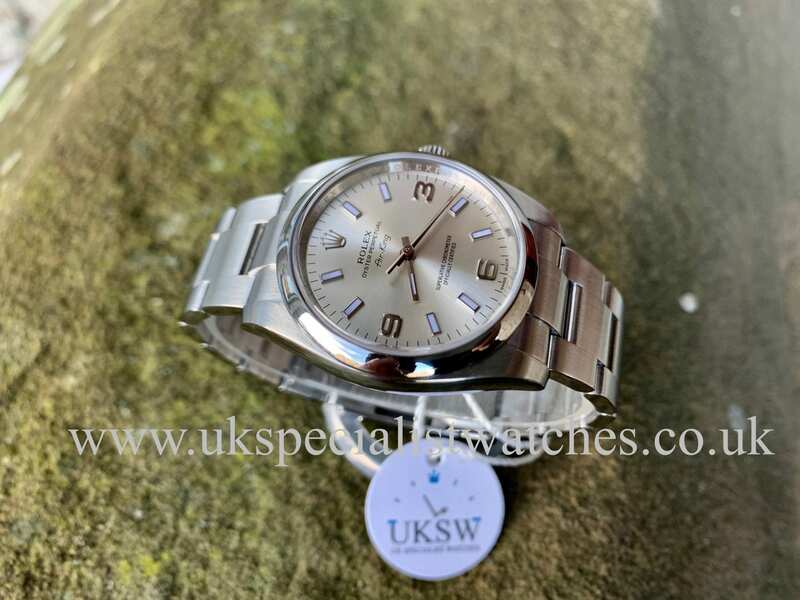 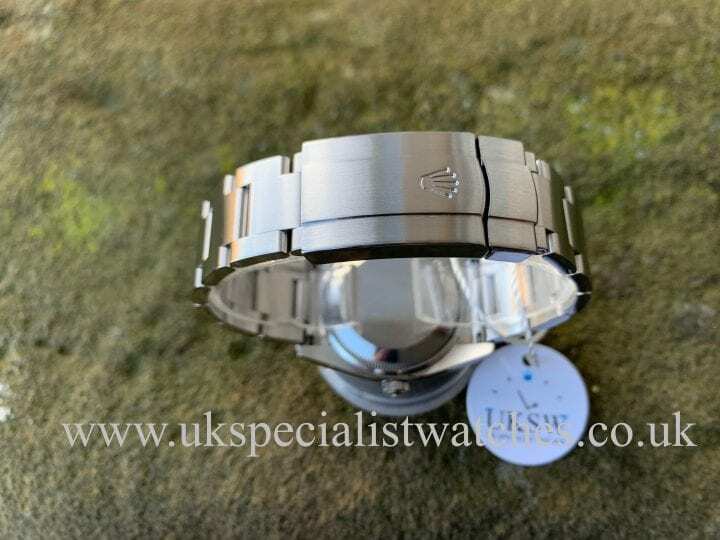 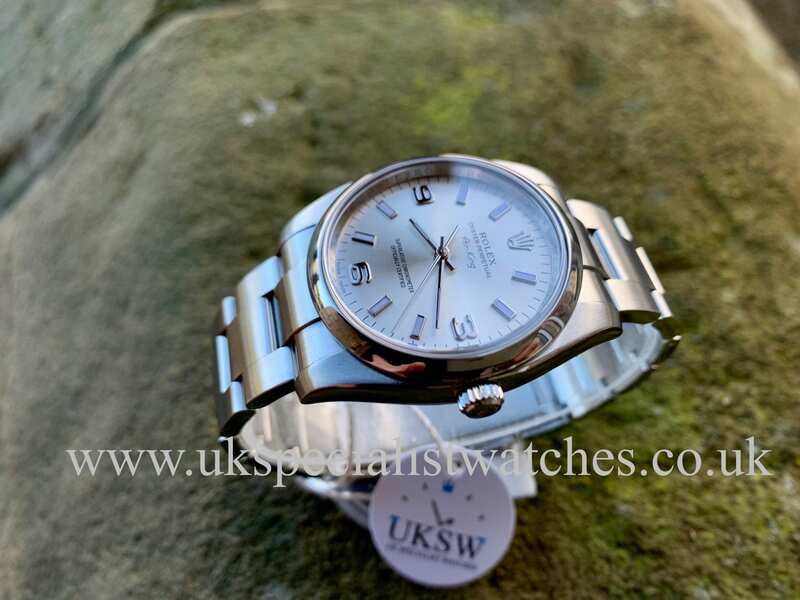 Rolex Oyster Perpetual Air-King stainless steel with a 34mm case, smooth steel bezel, silver dial with applied 3, 6 and 9 numerals with a further 8 stainless steel baton hour markers. Brushed stainless steel oyster bracelet with the latest style double folding clasp. Our immaculate UK supplied, one owner from new example comes totally complete with original warranty card, green leather wallet, both swing tags including the serial swing tag and boxes. 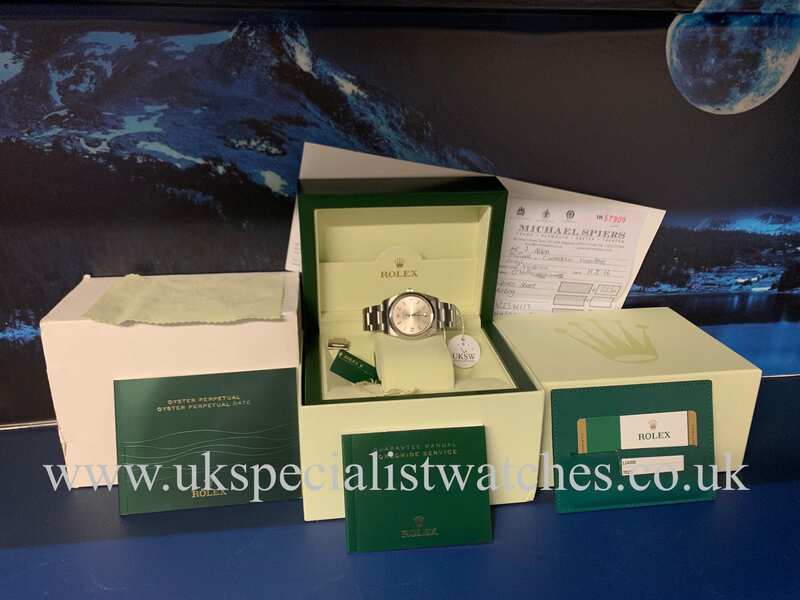 We even have the original purchase receipt from Michael Spiers! 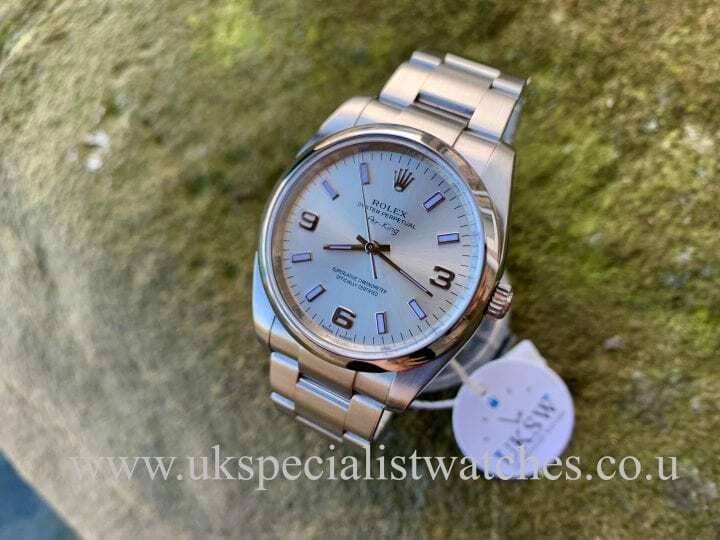 This entry-level sports Rolex represents fantastic value for money! 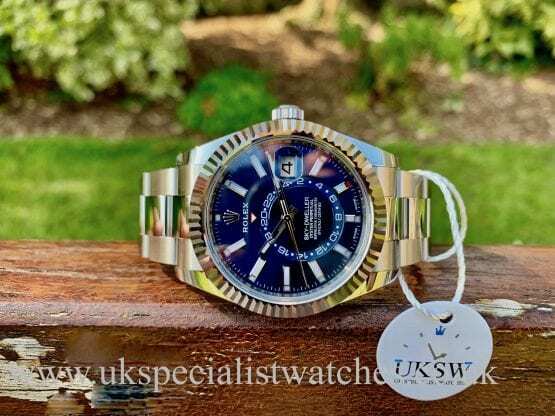 UK supplied 2016 and still has the remaining Rolex 5 year international warranty.